Alison Weir is one of those authors who manages to make history accessible to anyone. Her style is engaging, and her books usually read more like novels. So I was surprised to discover that her book, Henry VIII: The King And His Court is quite dry and, at times, even boring. Even the author at the beginning claims that some of the descriptions are dull and tedious, but begs the reader to read them anyway because they help us to better understand the world (and palaces) in which Henry VIII lived. And I'm gonna make you the same request. This may not be the most entertaining history book ever written, but its subject is still very interesting and gives us an in-depth insight into the Tudor court and his most famous King. Weird describes every aspect of Tudor court life: the beautiful palaces the king and courtiers inhabited, the clothes they wore, their pastimes, the music they listened to, the sports they played, the food they ate, the intrigues and plots they hatched to gain ascendancy over the king and bring enemy factions down... Weir also focuses on the numerous people who lived and worked at court. Henry employed many servants to keep his palaces working properly and many people came to court every year to try their luck: cooks, pages, painters, musicians, gardeners, builders, officials... all the roles of the many inhabitants are described in detail. And of course, the author also examines the relationships Henry had with his family, his wives (although not in great detail as Weir has already written another book devoted to this subject), members of the Privy Council, ambassadors and everyone else he came in contact with. This also allows the reader to see how Henry transformed from a handsome, happy, accomplished king with a love for women and sports into a fat and ruthless tyrant who didn't hesitate to condemn even his closest friends or family members to death when it suited him. Many people will undoubtedly be disappointed that the main events of Henry's life, such as the Reformation, Anne Boleyn's execution, the Pilgrimage of Grace and the many wars he waged, are only briefly mentioned. But, in my opinion, that's to be expected. This is not your usual biography of a king. The subject of the book is to portray what life at court really was, and that Weir does wonderfully. 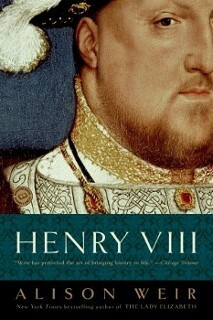 The book is meticulously researched, full of intricate details, and, if at times it's dry, it's only because the descriptions of the most trivial aspects of life and the many rules that governed a court simply aren't as interesting as the personal lives of kings, and especially a king like Henry VIII, who married six women and ruthlessly ditched half of them. Henry VIII: The King And His Court by Alison Weir minutely describes what life at the court of Henry VIII was like, and the relationships the king had with those around him. Although interesting and meticulously researched, some of the descriptions are kinda boring and dry and thus, the book doesn't always flow smoothly. Also, those interested in the main events of Henry's life and reign will be disappointed. The book will tell you all you want to know about his court, but it's not a full biography of the Tudor monarch.